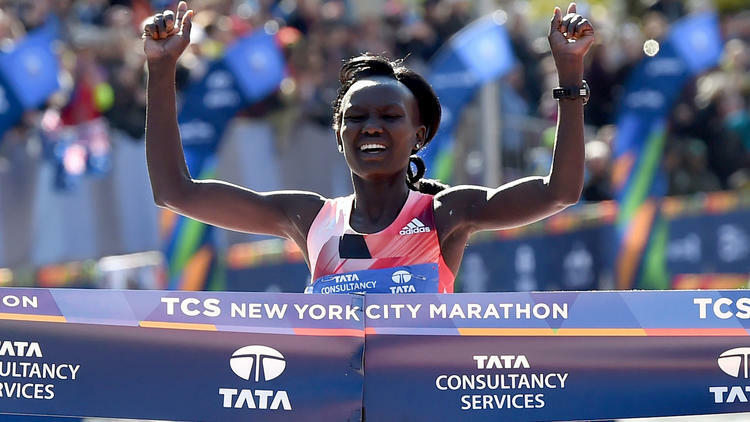 Kenyan marathon ace Mary Keitany won the 2016 New York marathon by an incredible three minutes and 35 seconds. She also became the first woman in 30 years to win three consecutive NYC Marathons. On this day, Keitany broke away from the rest of the field at the halfway point and they would not see her again. Indeed she ran the rest of the race alone, accompanied only by Police on motorcycles. Sally Kipyego, running in only her second marathon, finished an impressive second. This entry was posted in Kenya Athletics News, Kenya Sports news and commentary and tagged mary keitany, New York Marathon. Bookmark the permalink.